Former ABPA Executive Director Stan Rodman reunites with Judy and Bob Schmoker of Flexipak. Former ABPA Executive Director Stan Rodman reunites with Judy and Bob Schmoker of Premier Flexipak. 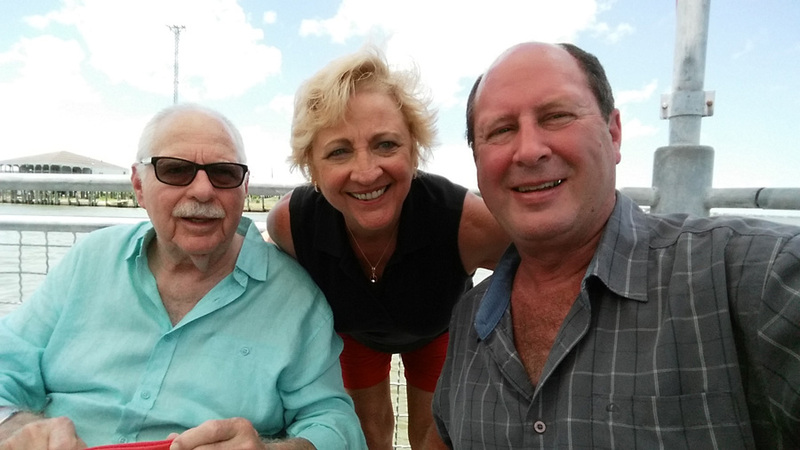 The Galveston Bay waterfront community of Kemah, Texas was recently the site of a reunion of Premier Flexipac’s Bob and Judy Schmoker and former ABPA executive director Stan Rodman. Meeting on the afternoon of Tuesday, July 12 in this waterfront community 25 minutes south of Houston and 25 minutes north of Galveston, Stan, Judy and Bob enjoyed a tasty lunch at Landry’s Seafood Restaurant which sits on the waterfront of this historic community. The Schmokers, of Tyler, TX, had driven their motor home, a fully decked-out 37 foot long Georgetown XL 378, to an RV beachfront park in Galveston for a five-day vacation. Judy called Rodman to ask if he might be interested in meeting up with them for old times’ sake. Stan, who is now retired in Richmond, TX, suggested they meet up in Kemah. Besides rehashing many of their combined experiences, especially at ABPA conventions, where the Schmokers have been strong supporters of the association and the annual meeting, they enjoyed a pleasant meal and some unexpected entertainment, when the waiter inadvertently dropped several used dishes off the bus tray on the concrete patio, attracting a swarm of seagulls who went on a feeding frenzy. All in all it was a great afternoon where a constant breeze and endless reminiscing abounded among people whose primary ties were formed around ABPA.